Being visible in your geographic area has serious benefits when it comes to business. You’d be surprised by how many companies and end users like to do business with local companies for convenience and to support the local economy – it’s a trend that continues even in 2016. With that said, it's important your potential business partners and customers can find you online. Local SEO differs from your average SEO campaign and is always evolving, with local search results are changing more rapidly than any other. In this case study, we look at what it takes to be top of your local search results. 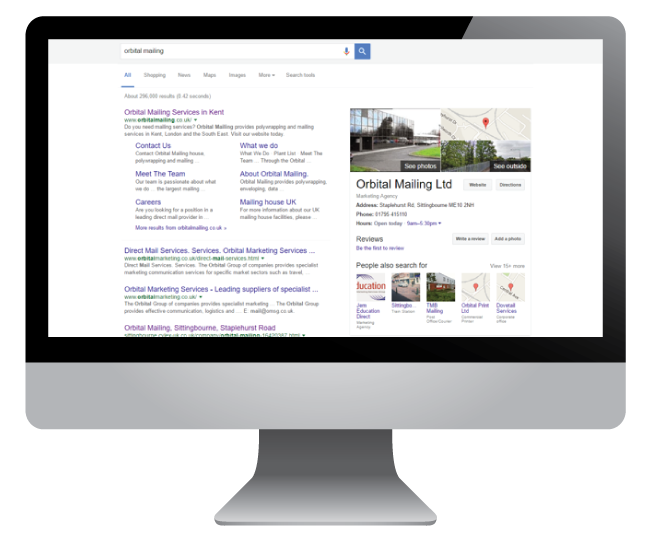 We’ve worked with Orbital Mailing (part of OMSG and Menzies Distribution group) for many years and have helped them to lead local search results during this time. 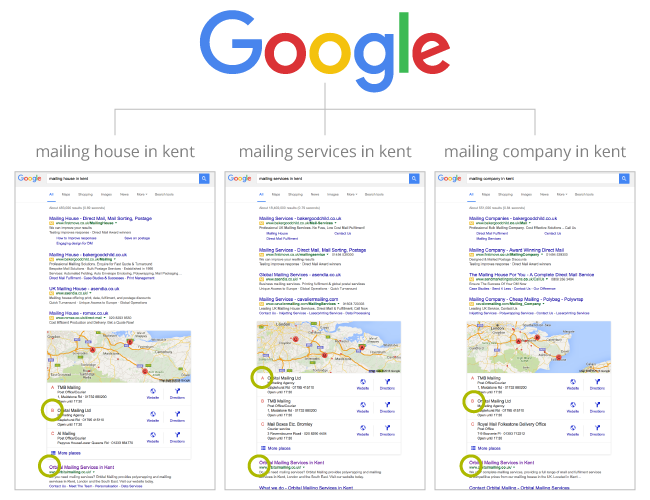 The company dominates search results for phrases such as ‘Mailing Services in Kent’, ‘Mailing Company in Kent’ and ‘Mailing house in Kent’ etc. 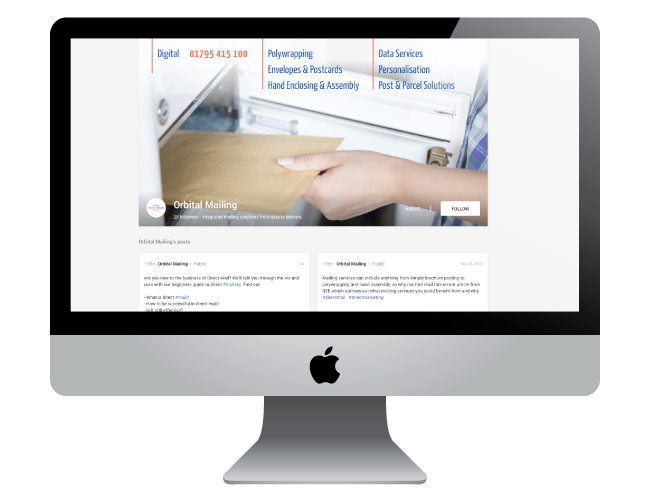 Orbital Marketing Services Group have a very strong presence in Kent and are known for their marketing, fulfilment, mailing and printing expertise. With an excellent location just outside of London and major transport links, combined with a massive wealth of experience, the company is very strategically placed to compete in the South East. We optimised the Orbital Mailing site to help them to rank for local search phrases and attract business in the Kent and South East Area. Optimising the content on the site with location specific content which is accessible to search engines but also sells well. 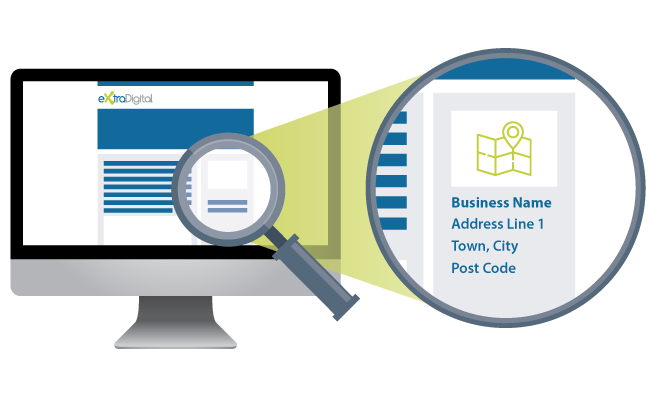 We also added several key elements to the page such as local business schema mark-up to influence local search results listings. Local SEO involves collecting the right citations on relevant websites, preferably in the right geographic location – this had a direct effect on local search results. As a company, we have access to directories not available to the general public! We actively pursue local citations to improve local rankings. Positioning the site as an authority in the Mailing industry - It’s no longer enough to optimise the site for a handful of keywords. 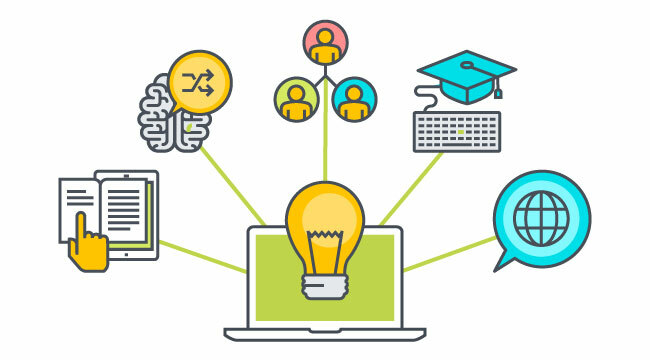 We help our sites become an authority in their subject, curating content which helps them to communicate their status as industry leaders and experts. 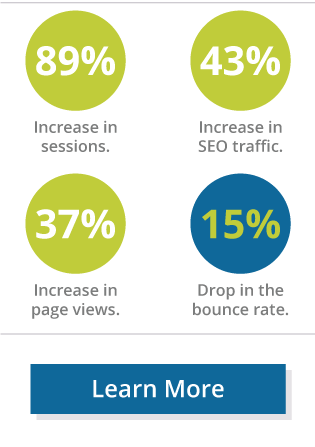 We produced and encouraged in-depth, valuable content to help build the site authority in the direct mailing arena. If you’re running a local business and you’re not fully utilising Google My Business (formerly known as Google Places, Google Plus, Google Plus Local, et al.) then you’re missing out on valuable opportunities to reach local customers. We set up a verified Google my business listing and improved the appearance of search engine results. We also set up and branded a Google+ page for Orbital Mailing to push valuable content to their circles and followers. Are you looking to dominate search results in your local area? 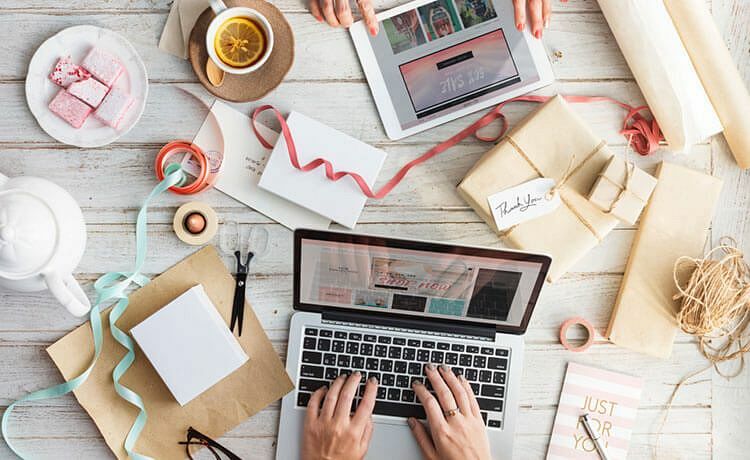 We specialise in local SEO services to connect you with your ideal clients in your local area. Get in touch with us on 01227 68 68 98 for more information, or fill out a contact form with your project details.